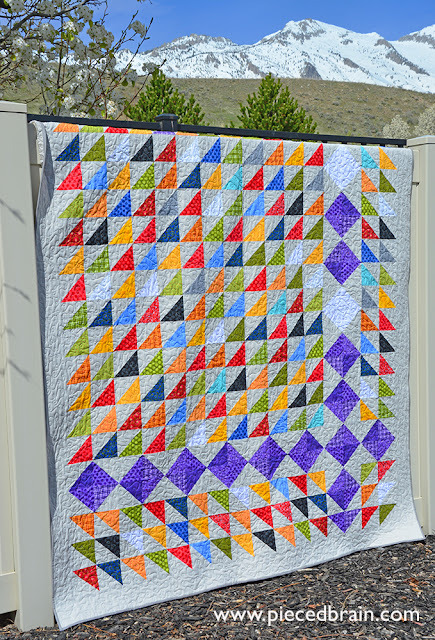 I am so excited to show you the quilt I made for the Cake Mix Bake-Off Week #4, hosted by Fat Quarter Shop! I used one This'nThat Layer Cake by Nancy Halvorsen for Benartex and forty-two 10" squares of Cloud9 Cirrus Solid in Gray. These fabrics yielded 336 4" unfinished HSTs. Although the photo above does not make it justice (you will see fabrics better below), I love the design and the quilt which measures 71" x 92". It was a fun process putting them together. I was doing it in the wee hours of the morning... 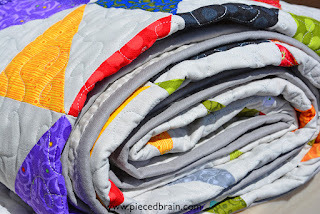 I chose to chain piece it so HSTs were stitched into rows with rows linked together. By the time I added the last HST, I had all the rows ready to be stitched. 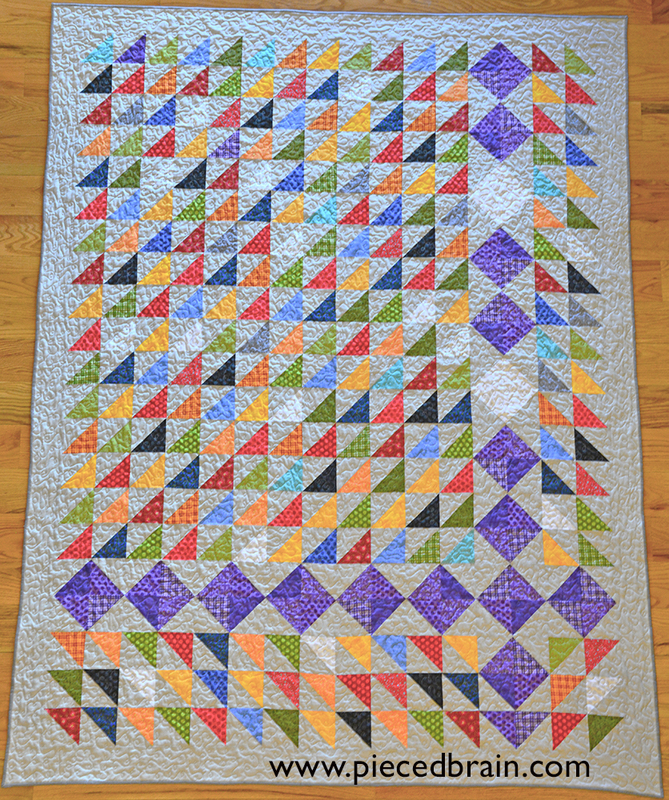 I call it my "Happy Quilt" because that is how it makes me feel, so the name stuck. I played around with the design until it was just as I liked it, so the purple and white blocks would stand out. 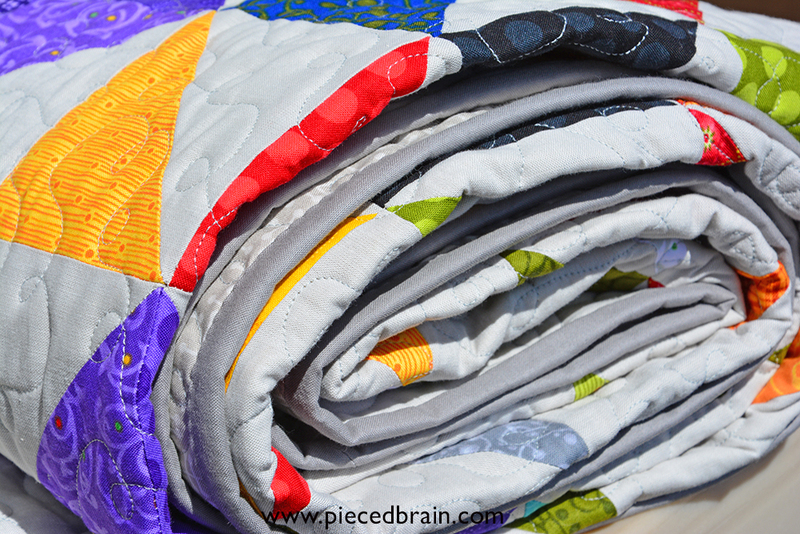 I quilted it with loops, adding more texture and whimsy to the project. Loving the scrappy look! 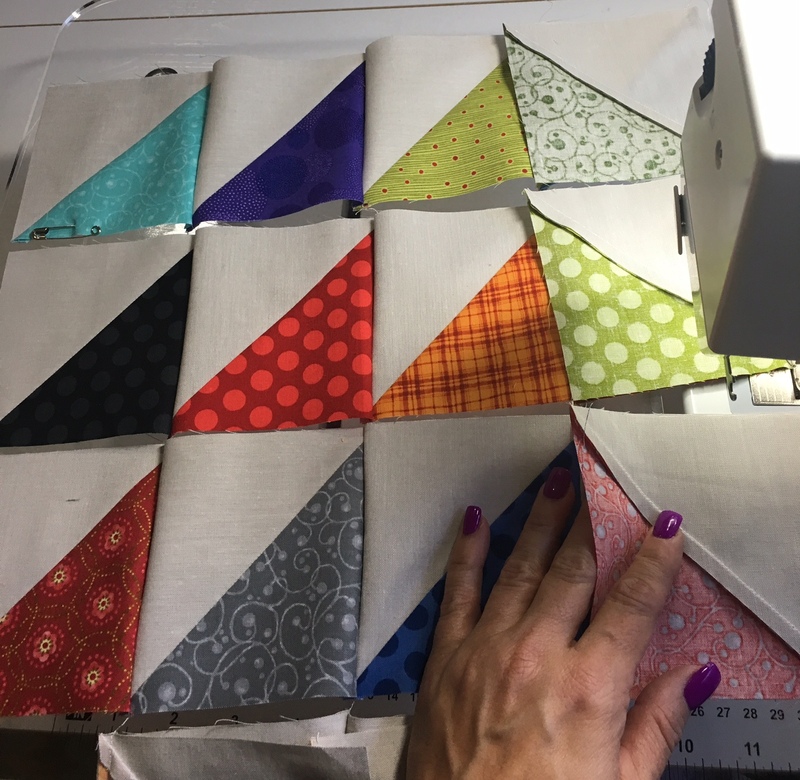 I will definitely use the Cake Mix recipes again as it is a cool way to get HSTs out of 10" squares. I also liked the fact that I was able to use ALL the HSTs in this project, so no orphan blocks. Yeah! 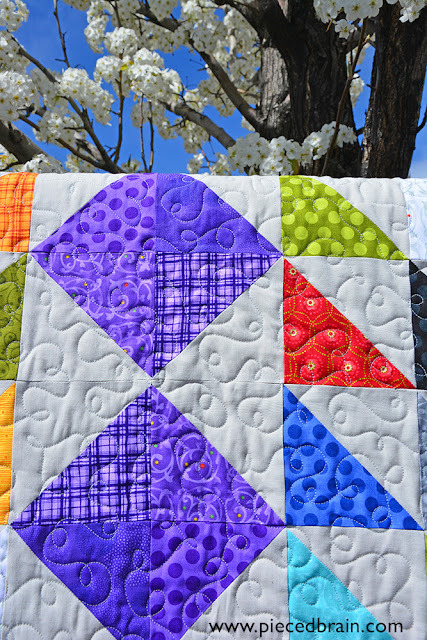 Now I will head over to Fat Quarter Shop's blog to see what the other designers made. Won't you come with me (and perhaps even vote for mine quilt)! Ooooooh my gosh!!! love Love LOOOOOVE your Quilt!! Gorgeous..& sooo Happy!! (I went right over & voted for you! :) & so far..you're ahead!!! Woooohoooo!!! Good Luck Blessings!!! That is just gorgeous. I went over and voted. This is indeed a Happy Quilt. Beautiful work!